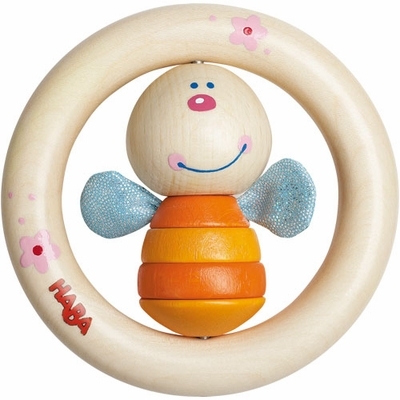 Buzz-Buzz spins round and clicks when shaken up and down. Encourages clutching and fine motor skills. Wooden clutching toy. Measures 3.7" diameter.